“The real challenge for BAUCH is to compete with itself, in order to be faithful to the commitment of building new brands that are trustworthy and reliable”, said Mrs. San Antonio in her welcome remarks during the BAUCH Grand Corporate and Product Launch held on February 6, 2014 at the New World Hotel Makati. 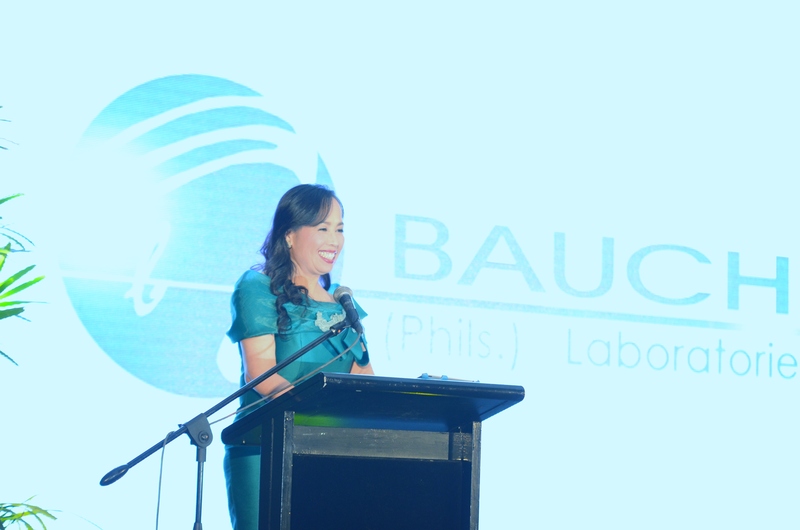 Bauch showcased it’s state-of-the art facilities in Silang, Cavite, which manufactures wide range of Bauch Products under the three lines: BAUCHCare- the over-the-counter medicines, BAUCHMed- ethical products, and BAUCH Nutrilife- food supplements. The event was graced by the friends from the media and VIP guests such as the Drugstores Association of the Philippines President Ms. Estela Lim and Chairman of the Board – Ms. Gloria De Chavez; as well as the Philippine Pharmacists Association President- Ms. Leonila Ocampo and ACTIMED Vice President, Mr. Jay Ferrer. The celebration would of course not be complete without the presence of the brand ambassador for Bauch’s flagship product Blooming-G, Ms. Sunshine Cruz. “I’ve been using this product since August 2013, and I’m very amazed with the results. With daily intake of Blooming-G, I was able to immediately notice its rejuvenating and moisturizing effects on my skin”, said Ms. Sunshine. Mrs. San Antonio further said that when a woman feels good about herself, she gains the confidence to do more and standout, which is what Blooming-G is all about: resilience, optimism, inner beauty and healthy body. With the succeeding projects of Bauch, the company intends to inspire women to reveal their true beauty emanating from a good heart and firm dispositions in life. Watch out for more breakthrough products from Bauch.